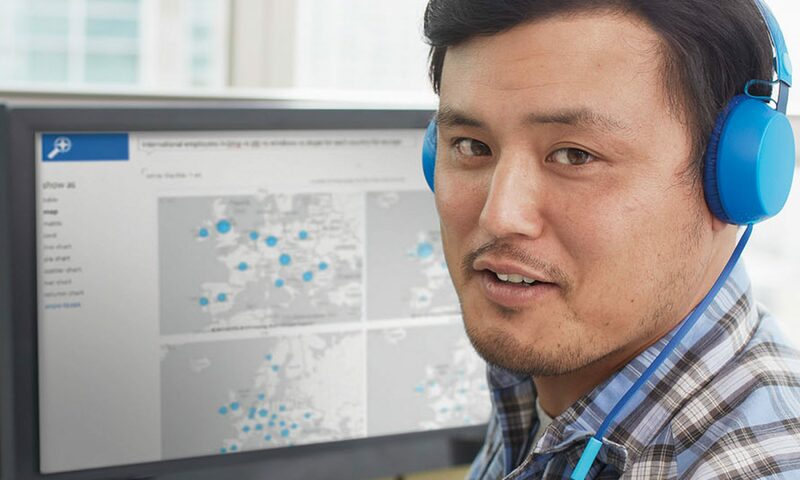 Power BI Certification Training – Enable better decision making, using Microsoft Power BI. Learn how to create business intelligence dashboards like this Retail Industry Analysis in this Microsoft Power BI certification training. The course will take you through all technical topics listed as coverage areas for the 70-778 certification. Many students aren’t able to get away from their office for a week of training or they can’t travel due to budget constraints. We are offering this class as a live virtual class over Skype for Business to enable you to avoid travel costs. All sessions will be recorded and made available for review in case you miss part of a session due to work demands or if you need to go back and see it again. The session schedule below is designed to provide students with the greatest schedule flexibility. Does this include the exam fee as well? Yes! This course includes the exam fee for 70-778. If you don’t pass it the first time, we’ll even pay for you to take it once again! Click the Register Now button to see the pricing information. Click the Register Now button to access the pricing information. I live in a country outside of the United States. Can I register? Definitely! We offer the course virtually and in small four hour sessions to enable people from different time zones to attend. All sessions are recorded for viewing online so if taking a class at 3AM is not ideal, you can watch the videos and submit questions to the instructor. I don’t have a credit card to put this on. What are my options? If you do not have a procurement card or your company requires an invoice or purchase order, contact us at info@tumbleroad.com to have one created. Do I need to be a technical guru to take this class? Do you offer group discounts for multiple people? Yes! If you have a number of people in your organization who need to be certified, please contact us at info@tumbleroad.com to get group pricing. Do you offer private classes for companies? Yes we do! If you want to have a course customized to your specific needs or data, please contact us at info@tumbleroad.com to get the private class pricing and details. Do you offer non-certification prep courses in Power BI? Yes we do! See our https://academy.tumbleroad.com site for more information or email us at mailto:info@tumbleroad.com. Why does this class cost so much? Consider that many certification prep classes range in price from $3500 to $7000. Consider the effort that goes into creating a training class.Each hour of pro level classroom time needs 8-10 hours of analysis, design, prep and delivery work to accomplish. Many classes, like Power BI, also require monthly updates which adds another two hours per month per hour of class for review and update.So for each day of class time that is three months old, let’s assume 16 hours cumulative effort per hour of instruction or roughly 400 hours of effort for a certification prep class. For simplicity, let’s call this $60,000 of investment in time and materials to be recouped. This ignores cost of time it took to learn the domain.Consider that your cost to spend 400 hours of your time to gather the same information, assuming $50/hour is $20,000.This $20,000 cost assumes you have no other valuable work to do in the 400 hours (roughly 3 months) extra you are spending to do the gathering, which may take longer as you also have to learn the domain.It also does not include the value of the knowledge gained, which may lead to bonuses and raises. It also does not include the time saved developing BI content for your company. This class pays for itself very quickly. When is this course being conducted? The course sessions are currently being taught as private on-site class at client companies. The next public offering date will be set soon. If you are interested in later public dates or would like more information on our private class offering, please contact us directly at this link and we’ll send you more information. The following topics are taught, based on the areas addressed by the certification test. Tumble Road is a full service business intelligence consultancy, based in Seattle, WA, USA, focused on the Microsoft Power BI ecosystem. As a Power BI Showcase partner, it offers the following services. Marquee™ line of Power BI based products.